Manchester United’s hopes of signing Gareth Bale have suffered a blow after the Real Madrid star held “positive” talks with his new manager. Bale had face-to-face discussions with new Real manager Julen Lopetegui on Monday and was told that he has a huge part to play in a new era for the club, after the £99m sale of Cristiano Ronaldo. The Wales star cast doubt over his future after the Champions League final in May, admitting he may review his options following his outstanding performance against Liverpool. United have been making inquiries to discover if a deal can finally be agreed for Bale this summer, with Jose Mourinho still intent on adding the 28-year-old to his squad at Old Trafford. Bale’s first-team opportunities under former manager Zinedine Zidane were restricted in the last campaign and there was a serious chance that he would have left had the Frenchman remained in charge at the Bernabéu. 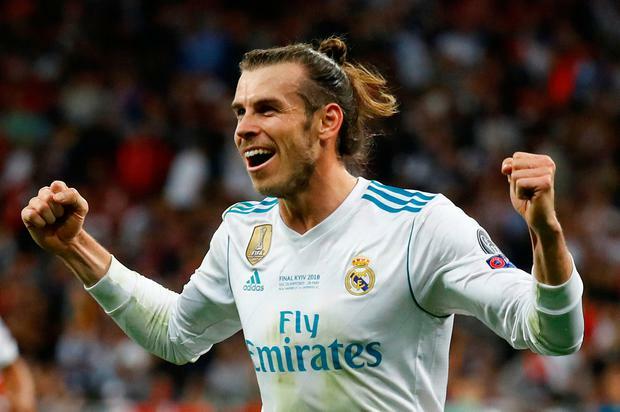 But Zidane’s surprise departure and the subsequent arrival of Lopetegui appears a significant blow to United’s bid to sign Bale, who is preparing for his sixth season in the Spanish capital. Lopetegui is understood to have told Bale how much he admires him, and how is he looking forward to working with him in the forthcoming campaign. Ronaldo’s sale to Juventus, which was confirmed last week, could also present Bale with the platform to become a central figure in Lopetegui’s plans. Bale’s representatives are expected to hold talks with the Real hierarchy later this week but, at this stage, a move to United appears remote. After the 3-1 win over Liverpool, Bale said: "I need to be playing week in week out and that hasn't happen this season for one reason or another. “I need to sit down in the summer and discus it with my agent and go from there."